Colchester vs Notts County predictions as they meet in League Two this weekend. Will the visitors be able to take a step towards safety with a vital three points? Read on for our preview of the match ans all our free betting tips below. Fans of Notts County must be pretty happy to see the back of 2018, a year which has seen the club change manager on a pretty regular occurrence and concluded with the Magpies in serious danger of losing their spot in the Football League. 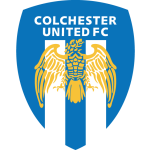 This weekend County have the opportunity to start righting some of those wrongs when they make the trip to face off against a Colchester United side who will be keen to get their title challenge back on track following a blip in form. The hosts had closed the gap on Lincoln City and MK Dons and looked like they would be the dark horses in the title race. However, their form dipped over the festive period and they managed to secure just a solitary point in what looked to be three winnable fixtures against Stevenage, Morecambe and Crawley. Perhaps what was most disappointing about their form over their matches is the lack of prowess they have shown up top and in those same three matches they have see their side find the back of the net just once. 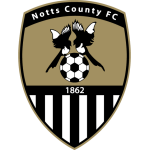 Making the trip to face off against Colchester United is a Notts County side who have had far from the season that they hoped for so at the start of the campaign. Pre-season expectations had County as one of the favourites for the League Two title but they have frequently failed to achieve on the big stage and are currently bottom of the division. The visitors may have the worst defence in the division but they also have one of the worst offensive records, a combination which no doubt goes a large way towards explaining their current predicament. The lack of form shown by both of these sides going into this match makes picking a winner a hard choice to make. However, one thing that has been consistent from these two teams of late is the lack of offensive output they have demonstrated. With this in mind, we think that backing there to be less than 2.5 goals scored is the way to go. Colchester have scored in 92% of their home matches. 33% of Colchester’s conceded goals occurred after the 75th minute. 70% of Notts County’s points have been earned at home. Notts County have lost 69% of their away matches.